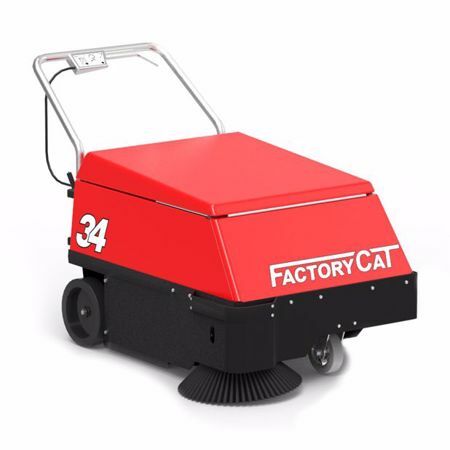 Factory Cat Floor Sweepers combine tough and durable through the use of a dual-stage cleaning system. 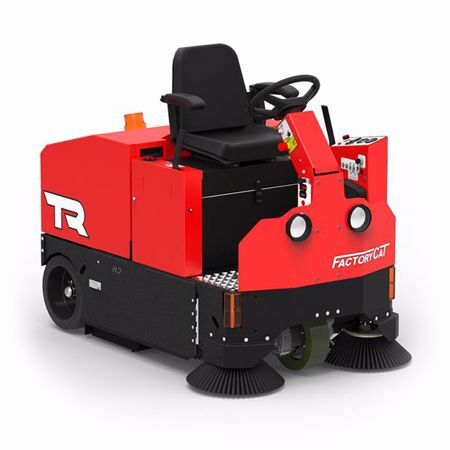 These Floor Sweepers employ a built in fine one micron filtration system to keep your working air clean and fresh as well as dust control flaps to keep dirt and debris from spreading while you are cleaning. Factory Cat machines are available in both walk-behind and ride on models. Say goodbye to dust and debris with a Factory Cat sweeper.